WINDOW WASHERS prides itself on being a superior Local window cleaning company , with attention to detail in all aspects of our window cleaning and services we provide. We carry out commercial and domestic window cleaning, also industrial. We do offer more than just window cleaning services, please view services page to find out more. Visit areas page to see the full coverage of window cleaners within the UK. We are not fly by night window cleaners. We are a well established company that clean windows all year round. 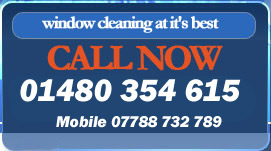 We offer you professional domestic window cleaners on a 4 weekly or 8 weekly basis, and also offer One-off cleans. Commercial and industrial window cleaning work is tailored to suit individual clients needs. All of our window cleaners are insured and safety trained to do their job and do not cut corners, Window cleaning is a professional trade and we strongly advise that you only contract a window cleaner that is insured and trained, this is to protect you and your property or premises, there are alot of rogue window cleaners around that are uninsured and untrained. Please visit the service page by clicking the link at the top of the page to see the full range of services we provide or areas page to book a window cleaner. We build our business on reputation and with 100's of clients having their windows cleaned by us and growing daily we must be doing something right. Please visit the areas page for further information on all locations that we provide window cleaning services in. We have areas being added nationwide to Window Washers, please check back from time to time, window cleaners and people looking for a window cleaner with areas not yet covered please contact Head office 01480 354 615.